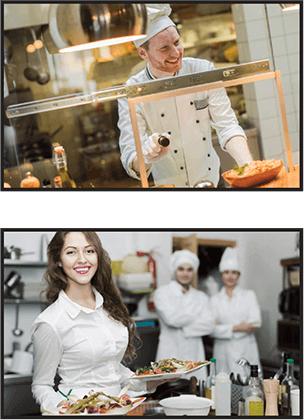 Just think… in less than 90 minutes, you will have your temporary Food Handlers Permit and will be able to start working in the food industry. Who needs a Food Handlers Permit in Utah? 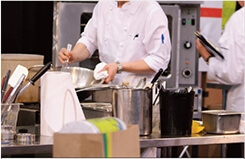 Anyone who is preparing, serving or handling food in or around a food service establishment. Take a 40 question online test at the end. If you pass with 75% or better, you receive a temporary permit to use until your permanent, State-Approved permit arrives in the mail. If you do not pass, don’t worry! You have the ability to re-watch the video and try the test two more times. Special thanks to the following for help with this video. We are a state approved company that makes the class easy, fun and affordable. Our instructor has close to a decade teaching this class and has real photos and examples that makes our class interesting. And, the bottom line? You will be hirable in any food establishment in Utah, while knowing all you need to know to make certain you follow the highest standards of care when working with food. Here is a gallery of photos showing you what is NOT acceptable when handling food. Click here to see the contact information for area Health Departments. 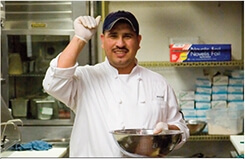 Click Here for the Latest News and Information about Food Safety Standards and Regulations.